"Kell Kay" Kambwiri is a Multi award winning Malawian artist based in the capital City, Lilongwe. He emerged on the Malawi music scene in 2014 with a song called "Ndilore Ndipite" which took the industry by storm. In the 4 years Kell Kay has been active in the music industry, he has released hit singles that gained thousands of downloads and have enjoyed massive airplay across the nation like "Mwano", "Tiye", "Karate", "Milandu", "Mbuli" "Juju", "Nono" and his biggest hit to date "Mr Yesu" Kell Kay released his first ever Extended Play (EP) called "All for You" to serve as a prelude to the yet to be titled album. 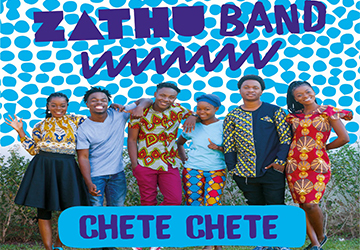 The project has hit songs like "Mbuli", "Mpaka Pamenepo" and "Mr Yesu". Kell kay has worked with urban music heavyweights like Young kay, Fredokiss, Rina, Martse, Gwamba, just to mention a few. Kell kay has won the following awards over the period of 4 years:- 2015 UMP awards – Song of the Year ("Mwano" with Martse), UMP awards – Best R&B Artist (2016, 2017), Nyasa Music awards – Best R&B Artist (, 2017, 2018), 2017 & 2017 UMP awards – Best Collaboration ("Mr Yesu" featuring Gwamba.